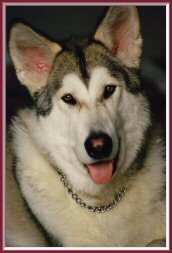 Fast cars, slide jobs, banging on the doors, bump and run, a Chase, fight to the finish and big personalities! 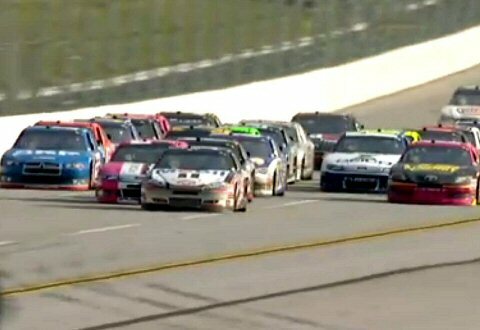 No it’s not the latest Fast and Furious movie, it’s NASCAR. I’ve been a race fan (race as in any kind of car racing) since I was 12 or 13. I have no brothers, and my Dad wasn’t a race fan. But being the youngest of 3 daughters I was the tomboy in the house and I liked cars. Dad taught me how to change a tire, change the oil and oil filter, and check the timing of the engine. I was the son he never had. Maybe that had something to do with it. But whatever it was, I loved fast cars and especially NASCAR and Indycar racing. As long as my favorite guy was in the race, I was watching and cheering and learning about the little things that make the race interesting. As I got older and could drive myself to the track, I was there watching in person. 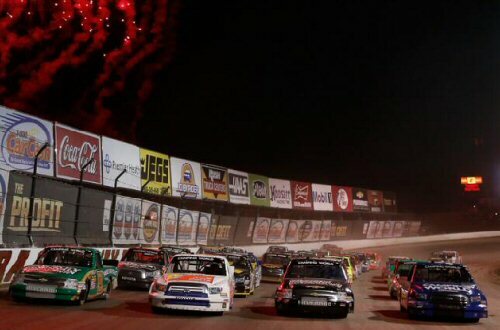 The smell of tires on the track, the sound of engines roaring and vibrating into your chest. The thrill of seeing your guy take the lead on the final lap and winning the pole!! It’s excitement, drama and the thrill of the chase. And that’s all before the race even starts! I’ve even come to love the new Qualifying format. I really didn’t like it when it was announced. But the format has won me over. We all have our one passion that immediately takes us away from the stresses and struggles of the week. For some it’s Baseball, others immerse themselves in Basketball. Some get so involved in watching their favorite pastime, that when they see a guy take a swing at a ball, their own shoulder and back muscles tense up as if they themselves are swinging the club or bat. Some people sail, others surf, or go horseback riding. And some people simply like to sit on a beach, watch the waves roll in and delve into this summer’s best seller mystery novel. Racing (any racing) is my passion. And I’ve been a fan long enough to know what to listen for and look for during a race that makes it so much more than a bunch of people going in circles and turning left. People say because NASCAR pretty much only turns left, it’s boring and not real racing like F1 or Indy. Really? You know those forms of racing also race on ovals from time to time. And most of the time, they’re racing on flat tracks. Not tracks with 16° banking where G-Forces push the car and driver to the equivalent levels of an Astronaut during a Space Shuttle takeoff. It does get old when people who have never been in a fire suit, never been behind the wheel of race car going 190-200mph on a 1-mile oval track says NASCAR is boring and it’s not a sport. Well I’ve written about the vigor of racing so I won’t go there again. You can read: Is NASCAR A Sport? Are Nascar Drivers Athletes? Fans know the little details that make a run by their favorite driver a good day for the team’s effort. Speed is only one small part of the puzzle. Set-ups play a big part in aerodynamics, as does track condition, banking, breaking, and talent. These guys are going 180mph or more and they’re only 3inches apart from each other. You rarely see that in open wheel racing. Drafting is a big part of NASCAR and that’s unique to their form of racing. It’s like any sport, when you know what to look for and how the strategies are implemented, being a spectator becomes more interesting and the race more exciting. Just watching on TV can give you a small perspective as commentators try to explain some of the details before and during the race. But going to a race with a long-time race fan will teach you a lot more. I haven’t met a single person who didn’t become a fan after their first adventure to a race. It’s truly an experience that must be had. For me and a lot of NASCAR fans in particular, our favorite past-time is a family affair. And I don’t simply mean our immediate family is as passionate as we are. Though in many of our families that’s true. Parents pass down their passion to their kids. 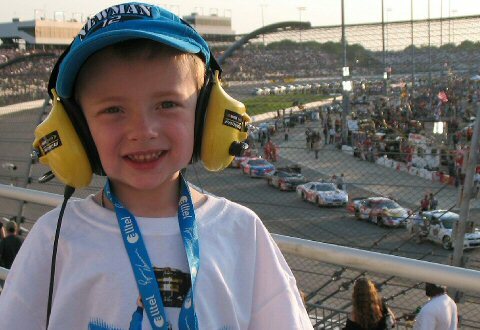 Our son went to his first NASCAR weekend racing at Richmond International Speedway when he was 4 years old. And each of us has our own favorite driver. For me it’s Tony Stewart, my Man is a DaleJr fan. Our son, he walked through a NASCAR store during a Christmas shopping event and gravitated to Ryan Newman’s blue Alltel license plate that he wanted us to put on his trike. That next February, Ryan Newman won the Daytona 500. It was a very exciting race for us because our kid was excited! But in NASCAR our family is everyone who wears a drivers shirt, or cap, who goes to the races and tailgate from 6am until the race festivities begin at 8pm. We see each other out and about in the world and nod a hello, or say “Hey, that’s my favorite guy too”. Whither we like the same driver or not, we’re family. We kid each other, laugh together and discuss the bone head move of that driver at last weeks race that nearly took out the entire field on the track. “NASCAR presents an interesting blend of individual disciplines, such as tennis and golf, and team sports. Imagine every NFL team playing on the same field at the same time, or 100 golfers trading paint with their golf carts in a race to the 18th hole. NASCAR’s unique setup provides an interesting dynamic among the fans. The NASCAR community is a down home family that honestly cares for each other. It’s a family of Drivers, teams, reporters and fans. We genuinely care about each other, support each other when outsiders put us down or attack our passion and band together in the face of adversity; on and off the track. Even if you don’t like another driver, you don’t want to see them get hurt. Crashed and out of the race, yes; hurt no. You don’t see our fans getting into fights and stabbing each other because our team lost a game. You don’t see riots breaking out at race tracks because that driver got into another driver and took them out of contention. When something happens in our arenas, everyone bands together and hopes no one got hurt on the track. Cheers when the driver gets out of his wrecked and mangled car. We’re amazed, surprised and relieved when they walk away and we all wait anxiously to hear they’re ok and they’re walking out of the infield care center under their own power, safe and sound. And when the action on the track carries over into the stands, fans are there to help. Sadly we’ve seen this several times in the past few years. A tire flying into the stands from Carl Edwards #99 car when he went airborne into the catch fence was a good example (FOX Coverage – YouTube). Fans nearby rushed to the aid of those who were injured until the track EMTs could get to those people. It was especially true when Kyle Larson’s #32 car went into the catch fence at Daytona in a Nationwide race on February 2013 (ESPN Coverage – YouTube). 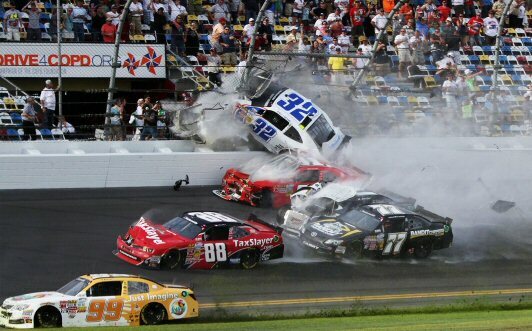 Tires and debris flew through the stands at nearly 200mph and many spectators were injured. Doctors, Nurses and EMTs who were in the audience came rushing to the aid of those people and worked right along side the track emergency crews (Fan Video-YouTube). It was an outpouring of compassion and concern, and it carried through all the seats in the stands even if people couldn’t help immediately, they stood there and prayed, applauded those who stood up and wave to say they were ok.
That off the track camaraderie between fans knows no color, race, religion or politics. And the dangers aren’t lost on anyone. Fans know drivers could get seriously injured, even killed while living their passion to drive fast. And Drivers understand the dangers of their work can spill over to the fans. In that 2013 Nationwide race at Daytona, my favorite driver Tony Stewart won the race. His Victory Lane celebration was subdued out of respect for those in the stands who were hurt on that final lap of the race. He mentioned to reports that he was glad to win, but his thoughts were with the fans. Drivers make the choice to take the risk and get in the car to drive 200mph; the fans don’t make a choice to be hit by flying debris. Many people don’t know that after that race, Tony went across the street to the hospital and spent several hours visiting with each fan who was injured and their families. He didn’t rush in and say sorry you got hurt, take a picture and leave. In fact, he didn’t tell anyone he was going over there. He simply went. No reporters, no fan fare, no marketing pictures. In fact, no one outside his immediate circle knew he had even made the visit until weeks later when one of the fans talked about the visit. Now that’s class! Many people, competitors and fans alike have all commented on the accessibility of fans to the teams and drivers of NASCAR. It’s unprecedented compared to any other sport. Even in other racing forms, NASCAR’s access to teams and drivers for fans is unique. It’s a uniting passion and one worth being involved in. “The thing that has fueled NASCAR’s impressive rise among favorite American sports the most is the way it treats its fans. 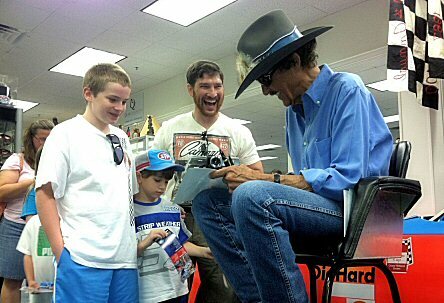 Richard Petty was the King of stock-car racing, but it was his fans that he treated like royalty. Petty would sometimes sign autographs for hours after a race. NASCAR hasn’t forgotten this and fans can still take tours throughout the pits and garage area on race weekends. Back on the track, Richard Petty retired in 1992, but he’s still showing up at races as a team owner and still signing autographs for fans. Drivers schedule Meet and Greets with fans throughout race weekends and even make personal appearances throughout the area where races are being held at their sponsors locations. 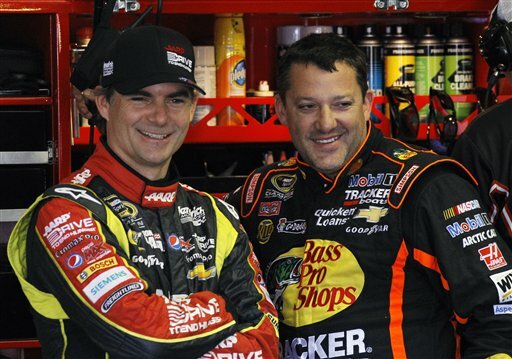 For instance Tony Stewart often provides fan appreciation events at his current sponsor, The Bass Pro Shops stores. Fans get autographs and pictures, merchandise and big smiles because they were able to meet their favorite driver face to face. When drivers are away from the track, they’re still accessible in this modern digital age. Many drivers have joined Twitter. The “tweet heard round the world” as it’s sometimes called, came from driver of the #2 car, Brad Keselowski when he tweeted a picture from the Daytona Raceway during a Red Flag situation because a Jet Dryer was on fire. His Live Tweet struck gold! Keselowski began the night with about 60,000 Twitter followers and had topped the 212,000 mark by Tuesday afternoon. Even the illusive Tony Stewart caved to the pressure and took over the twitter account his Marketing team created for him back in April 2009. Making his first official tweet in May 2014. You can find him at twitter.com/TonyStewart. Drivers tweet about other races, other drivers and share pictures of their off track events and activities. 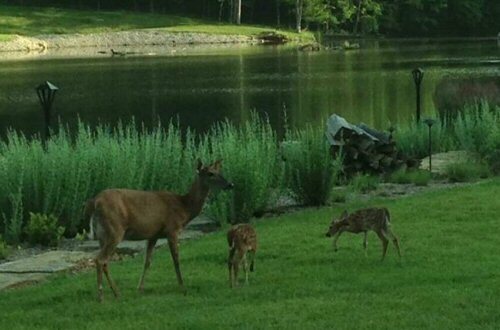 One of my favorite Tony Stewart Tweets was an early morning picture he shared from his bedroom window. 17th of June 2014: “Look who came to say hi when I got back after the Indy test today“. The sport’s biggest and most popular star Dale Jr. commented that if he won the Daytona 500 this year (2014), he would join Twitter. He won his 2nd Daytona 500 title and true to his word, he joined Twitter and started talking to his fans. You can find Junior at twitter.com/DaleJr. Junior has taken his connection to his fans to a new level. He often tweets to his fans and answers their questions directly during flights between races, appearances and any even that puts him in the air on his private plane. One of his first tweets came on February 24th. A selfie of Junior standing before his Dad’s Daytona statue. It has been retweeted nearly 30k times and favored nearly 45k times. All this interaction strengthens the appreciation and love of fans for America’s biggest racing sport. And we like it that way. So bash away, we know you’re simply jealous that your sports heroes won’t give you this type of access and respect. We understand you have no clue what’s going on at the track, in the cars and behind the wheels. But don’t expect us to give up our passion, simply because you don’t get it. A great article -so true on so many levels.